‘Well I’m still the Diva!’ Enabling people with dementia to express their identity through graffiti arts: Innovative practice. Hicks, B., Carroll, D., Shanker, S. and El-Zeind, A., 2017. ‘Well I’m still the Diva!’ Enabling people with dementia to express their identity through graffiti arts: Innovative practice. Dementia, 18 (2), pp. 814-820. This article reports on a pilot study that investigated the use of graffiti arts as a medium for promoting self-expression in people with dementia. 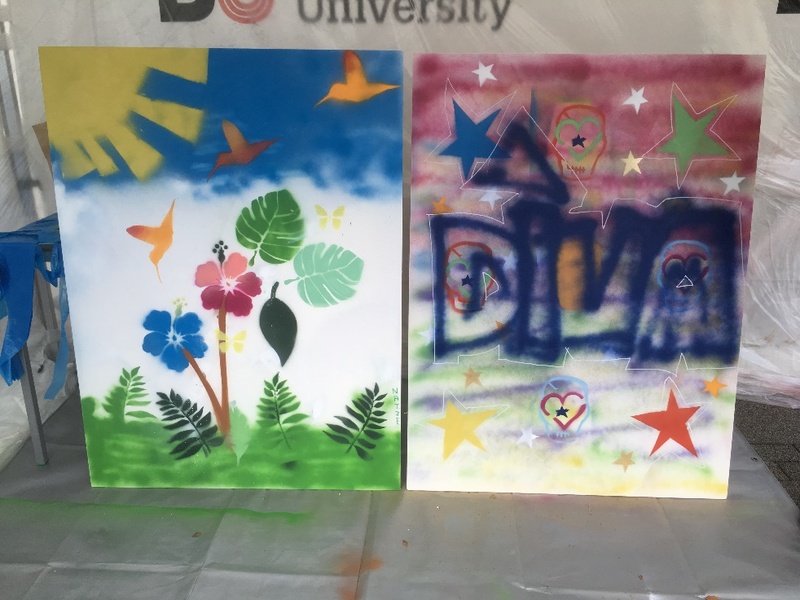 Two people with dementia attended a series of workshops with a graffiti artist where they explored their feelings of changing identity following their dementia diagnoses. 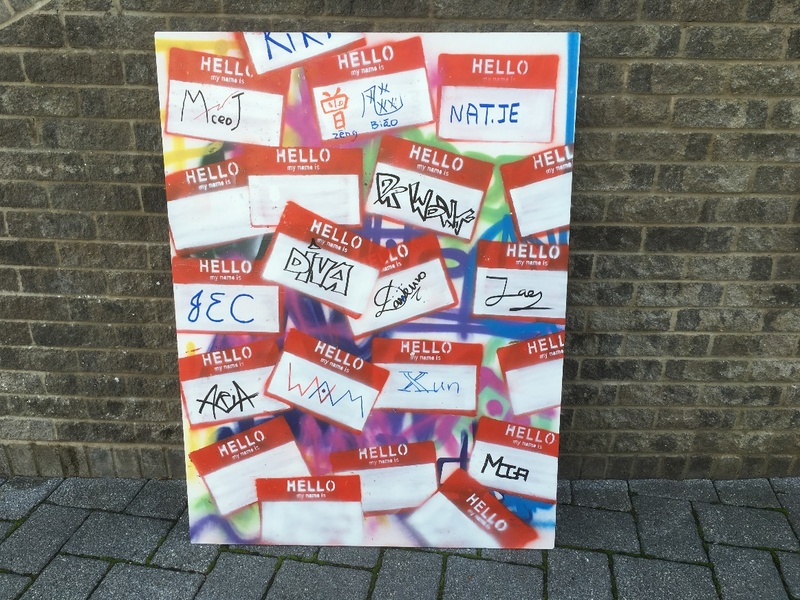 As part of the workshops, they were encouraged to develop a personal ‘tag’ or signature to portray their sense of identity and a piece of street art to express ‘their message’. These completed artworks were displayed in a public space in Bournemouth, UK.